KHIMKI (Moscow Region), April 6. /TASS/. Russian scientists are pinning their hopes on the Spektr-M (Millimetron) space observatory to determine the apparent size of our Galaxy’s center and win the Nobel Prize, Laboratory Head of the Physical Institute’s Astro Space Center Yuri Kovalyov said on Thursday. 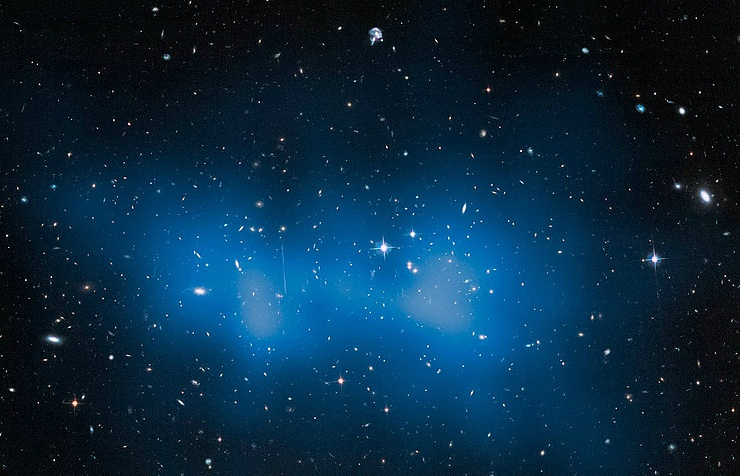 "We are now trying to establish its apparent size [the Galaxy’s center]," the researcher said at a scientific and technical council at the Lavochkin Research and Production association. "What will happen, if the center of our Galaxy is strongly obscured by dust and gas that we won’t be able to discern what is actually present there in the center? For this case, we have the next step we count on. This is the Millimetron project, which will operate in the millimeter and the sub-millimeter ranges where scattering will play a lesser role. If we don’t win the Nobel Prize in RadioAstron [space observatory project] for the discovery of supermassive black holes, then we’ll surely do this with the Millimetron, unless someone manages to do this before us," the researcher said. "But if someone tries to do this, he won’t succeed without taking into account the new effect of radio scattering discovered by us," he said. The Millimetron observatory is designed for exploring outer space objects in the millimeter, sub-millimeter and far infrared spectral ranges. Scientists expect to use the observatory to obtain data on the global structure of the Universe, the structure and the evolution of galaxies, their nuclei, stars and planetary systems, cosmic dust, and also on organic compounds in outer space and objects with super-strong gravitational and electromagnetic fields. The space observatory’s main mirror has a dimeter of 10 meters. The Spektr-M is expected to be launched to the area of Lagrange point L2 of the Sun-Earth system located at a distance of 1.5 million km from the Earth. 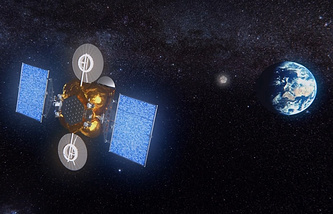 Director of the Space Research Institute of the Russian Academy of Sciences Lev Zelyony said earlier that the launch of the Millimetron space observatory was planned after 2025. RadioAstron comprises a space radio-telescope mounted on the Spektr-R satellite orbited in 2011 and a network of ground-based radio-telescopes. RadioAstron is designed to explore the structure of objects in the Universe in the centimeter and decimeter wave range. This terrestrial and space interferometer also integrates the largest antennae from Europe, the United States, China, Australia, South Africa, Japan and South Korea, apart from Russian radio telescopes.